we used this clean design to make it suitable with any kind of store you need also loaded with features from product video to animated Background slideshow. feel free to contact me on my support forum support@speed730.net in the future as we still redesign. This entry was posted in Which Open Source Blog on May 31, 2013 by Administrator. Blueline is a blue styled eCommerce theme for OpenCart. Blueline is a responsive theme with fontawesome icons integrated for high resolution devices. A mobile portfolio template that adapts to any mobile device. This template has no fixed sizes for specific devices, it runs on any screen size, and orientation. HiDPI ready means it will look sharp on any HiDPI display, including retina. The images you see in the preview are not included in your “source” ZIP. You will receive place-holders. OMG single page with it’s clean and minimalist religion style design. Recommended for missions, communities and churches. These 8 PSD files are fully layered and layers are well named and organized within folders to make them easily accessible and use. Appland is a responsive landing page template. It’s primarily intended for mobile apps, but with a little modification it can have many uses. Choosing Increase HTML will be one of the most successful solutions of yours. In was initially created to help you make a really good website that will bring you to the top, whatever your sphere is. Increase wordpress theme features minimal but juicy design that will be friendly to all possible customization you might want to apply. Increase template offers super flexibility for color editing and easily turns from a minimalistic style template into a juicy website with great animation effects. 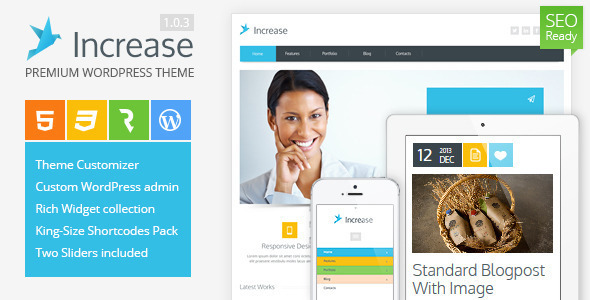 Increase is a SEO-friendly HTML template. In features super-clean CSS3 and HTML5 that search engines will love, successfully crawl and index. 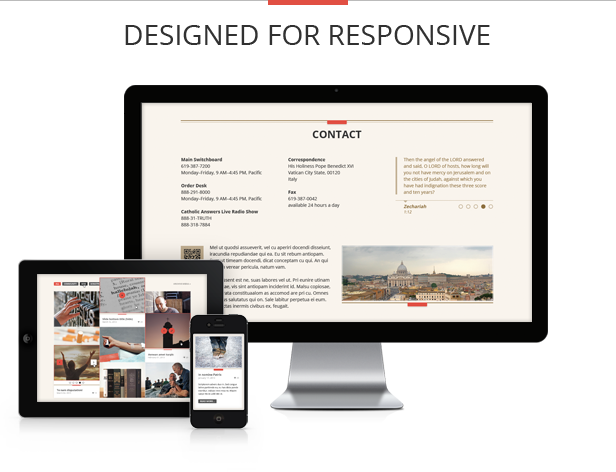 Being a 100% Responsive & Retina ready template, Increase is guaranteed to have a great appearance on all sorts of devices, on large desktop screens as well as on tablets and mobiles. Images of models in preview only, not included in the download. 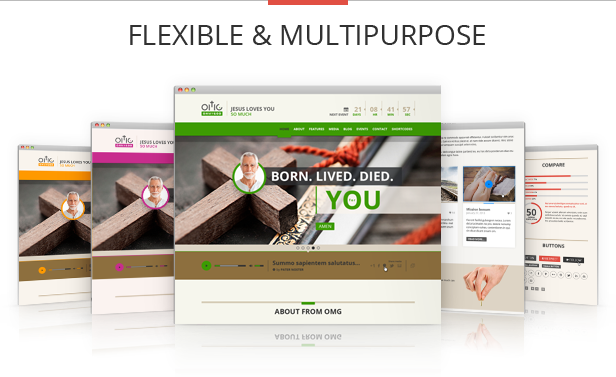 Myway is a clean, single-page, HTML5 & CSS3, multipurpose WordPress theme. Designed for agencies, personal portfolios, an app landing page and similar. We included Visual Composer ($25 worth) – Intuitive Drag and Drop Interface for easy and intuitive website building in WordPress! Add columns/elements with a single click, then drag elements around with your mouse to re-arrange them. It supports high-resolution/retina displays and it’s enhanced with parallax scrolling effect. Non experienced users will find Myway very easy to customize, make changes fast in admin panel and with visual composer. If you need any help with styling your site, feel free to contact us. If you download it, and you liked it, please, don’t forget to rate this item! If you use this template send us a link and get featured here.